Tim might want you all to assume he moved to the other side of the world for the big money driving trucks in New Zealand. Or maybe he’d like you to think that New Zealand’s stunning views attracted him. And certainly, the world's best dairy cows make New Zealand a milk drinker's paradise. But Tim’s not fooling me one bit. It was the ability to have ready access to Vegemite on toast every morning, a vegemite sandwich for lunch whenever he wishes, and perhaps a lush salad with Vegemite salad dressing that caused him to relocate to New Zealand. And fearing a mass influx of Yanks to New Zealand that would see the jars of Vegemite fly off the shelves resulting in a national shortage, Tim has been keeping everyone in the dark. Dang it kscarbel2! You let the cat out of the bag! MMMM Vegemite which is an Ozzie favorite and good on toast and my favorite,Marmite The building block of any nutritious breaky! 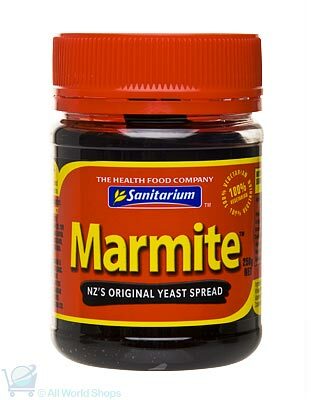 That New Zealand Sanitarium Marmite is pretty good, a little sweet. But Vegemite is my stand-by, I never travel without a jar now. 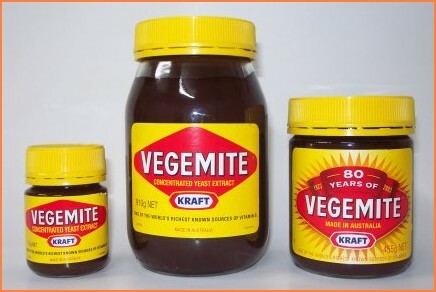 When ever me and dad are making gravy for the roast we use a bit of Vegemite. And dab a bit on mouth ulcers... Stings like hell but they are gone in a day. Is it bad to put ketchup on my vegemite sandwich? If it weren't for Men At Work, I still would probably have never heard of Vegemite. So Tim do you have weetbix in NZ ? Weetbix is the go out here does the rest of the world have them ? WHAT????? NO HOT POCKETS??? POP TARTS????? The world will always have a supply of pop tarts and Pop Tarts. I was told the Aus sanitarium branch is a not for profit organisation. They basically give all their profits away to charity. I guess that's expected from the church. But no dried salt cod flakes! Paul, weetbix are big here in NZ and they have multiple flavors too. People here put yogurt on their weetbix and dried fruit too! That's what I enjoy about breakfast in Europe, they have jugs of the liquid yogurt you can pour on your cereal (eg. muesli) like milk. I've never seen it in the states. Found these at count down last night MMMMMM Awesome with beer! 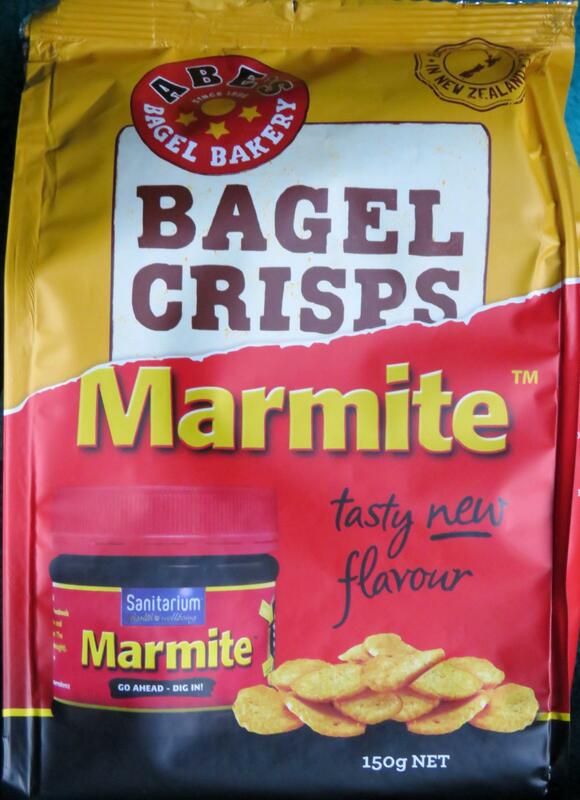 Found these at count down last night MMMMMM Marmite yum.JPGAwesome with beer! Okay, okay, now you've done it.............because I won't be able try out a bag until............probably when I run through Hong Kong next month. I know I can get the jars of Sanitarium Marmite there.